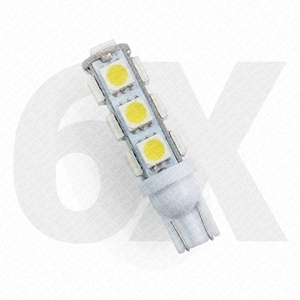 Six (6) 2-in-1 LED Bulbs, With T10 & BA15S Connectors | 12 LEDs | RV Lighting Inc. 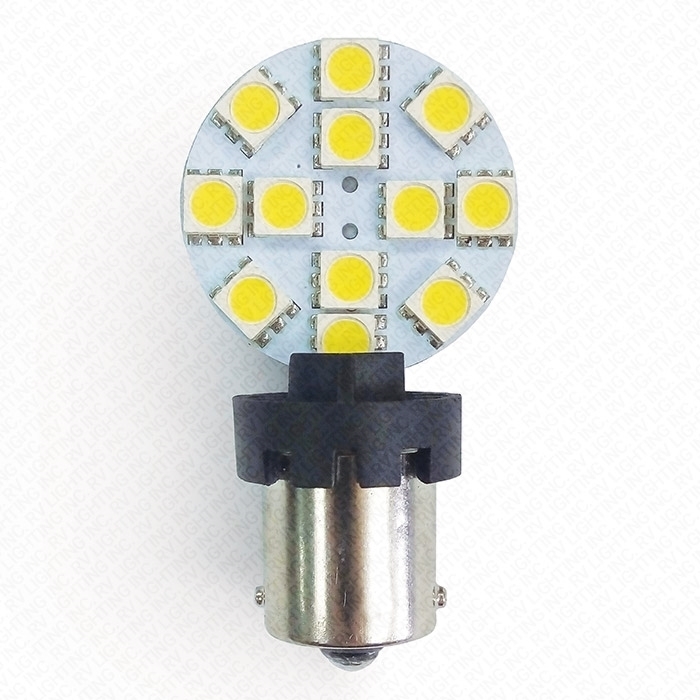 Pack of six universal LED replacement light bulbs, each with 12 SMD 5050 LEDs on round PCB and miniature wedge connector (T10) on the side, including six additional single contact bayonet bases (BA15S) with swivelling feature. For details and specifications, see below. These universal Eco-LED® replacement bulbs can fit numerous applications. 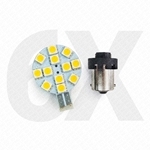 Use the miniature wedge connector where 900 series bulbs (T10) are used, such as ceiling lights, wall fixtures and other types decorative lights. Use them with the additionnal bayonet swivelling bases where bulbs with BA15S base (1156) are used, such as landscape light fixtures, elevator light bulbs, many interior RV lights, and boat cabin lights. 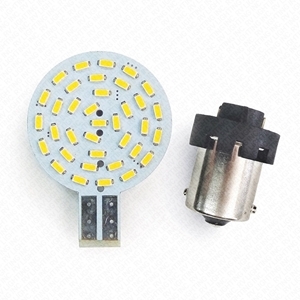 This model of LED bulb has 12 SMD 5050 LEDs with an output of up to 185 lumens (details in the Specifications tab). LEDs are mounted to one side of the round PCB for direct 120° illumination, whom of which you can ajust the orientation when using the included swivelling base. 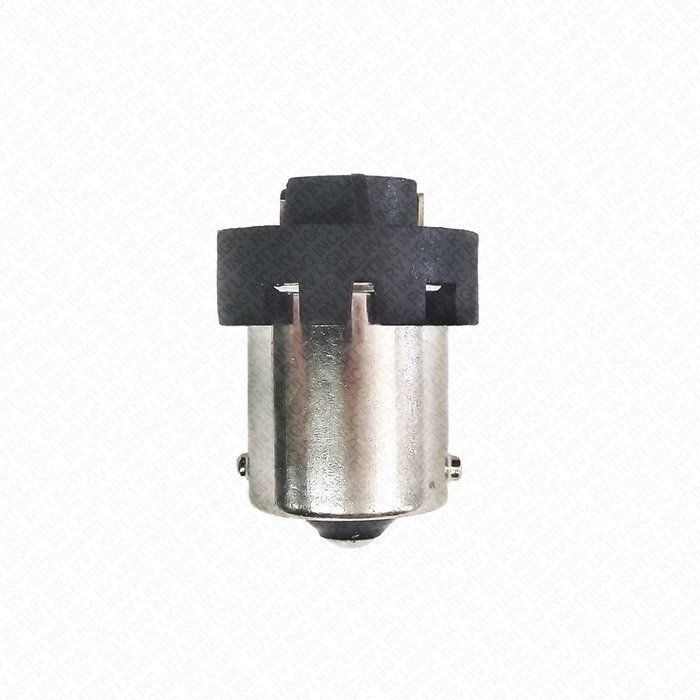 Miniature wedge (T10) base, and additional BA15S swivelling base (single contact 15 millimeters bayonet - 1156) for easy plug-and-play installation. 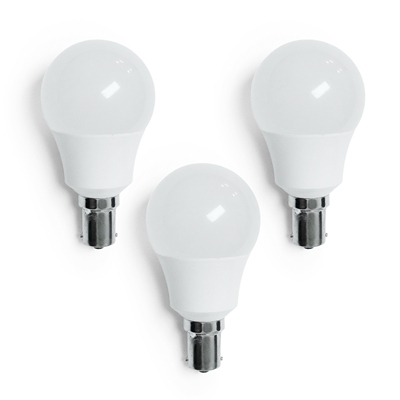 Each of these energy-efficient bulb for 12V DC operation uses only 1.8 watts of power and is designed to last 50,000 hours—42 times longer than incandescents. Available in cold (6000-6500K) and warm white (3000-3200K). 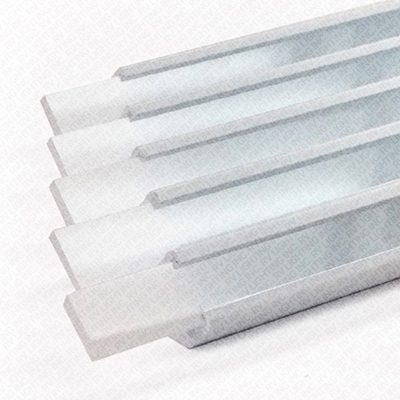 Replaces (part #) Miniature Wedge (T10): 901, 904, 906, 912, 915, 916, 917, 918, 920, 921, 922, 923. </br>BA15S: 93, 1003, 1073, 1093, 1141, 1141F. 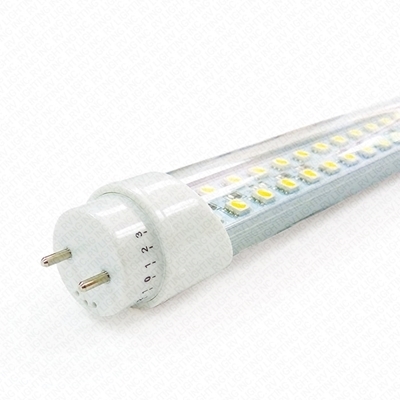 Kit of two clear lens dimmable 18 inches LED tubes with 66 SMD 5050 LEDs, for 12V DC installation. 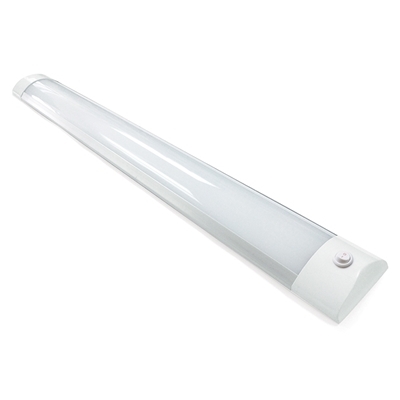 Perfect to replace your RV's fluorescent tubes, this LED Tube model can be installed with OR without ballast, and has 120° swivel end on each side to ajust the light direction according to your preferences. 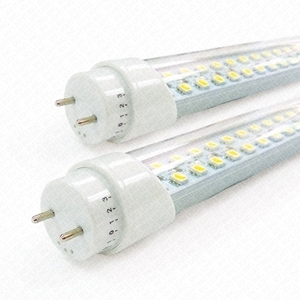 Two LT8 LED tubes, connectors, wire and installation instructions. For technical specifications and additional information, see below. 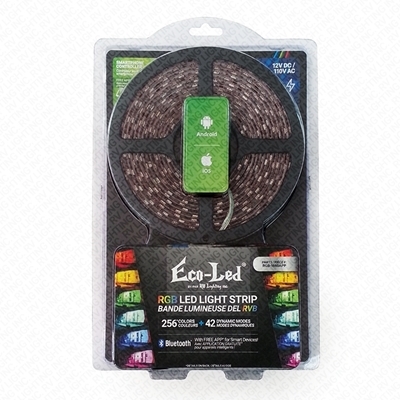 To use with compatible dimmable LED light bulbs. 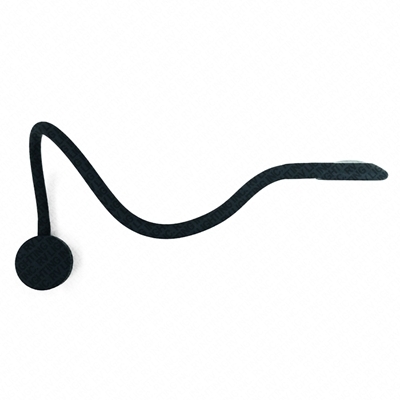 Black wireless wall switch with a 5-amperes lead wire equiped RF mini-controler for quick connection, that can be paired with up to 3 RF remote controls. 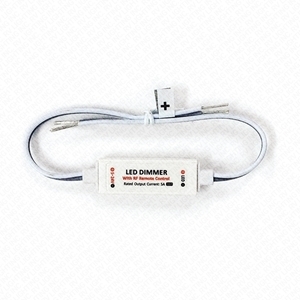 Procures 7 step dimming, for 12V DC installations. HAVE YOU SEEN IT? 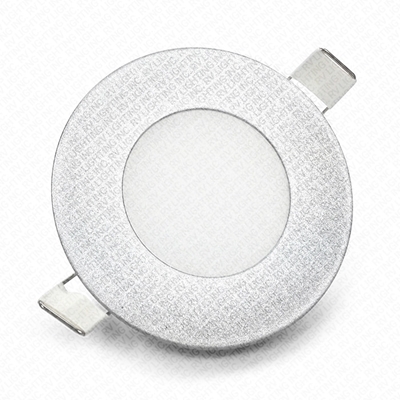 Look for this badge to easily identify LED products that are compatible with our wireless wall switch! For technical specifications and additional information, see below. 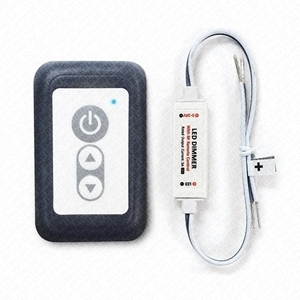 Compatible with our wireless RF dimmer remote (WSI-01). 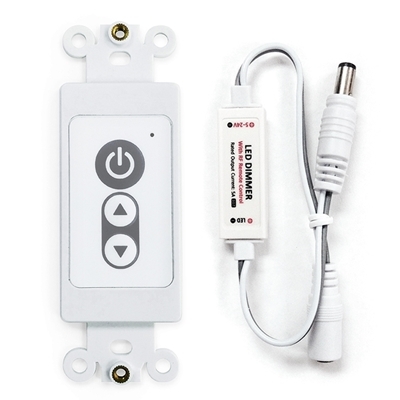 5-amperes lead wire equiped RF mini-controler to pair with our wireless dimmer remotes. For 12V DC installations. For technical specifications and additional information, see below. 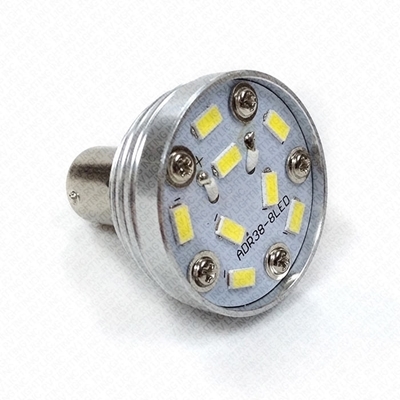 Pack of six 921 LED replacement light bulbs, each with 13 SMD 5050 LEDs mounted on tower PCB for 360° illumination, and miniature wedge connector (T10) at its base. For details and specifications, see below. 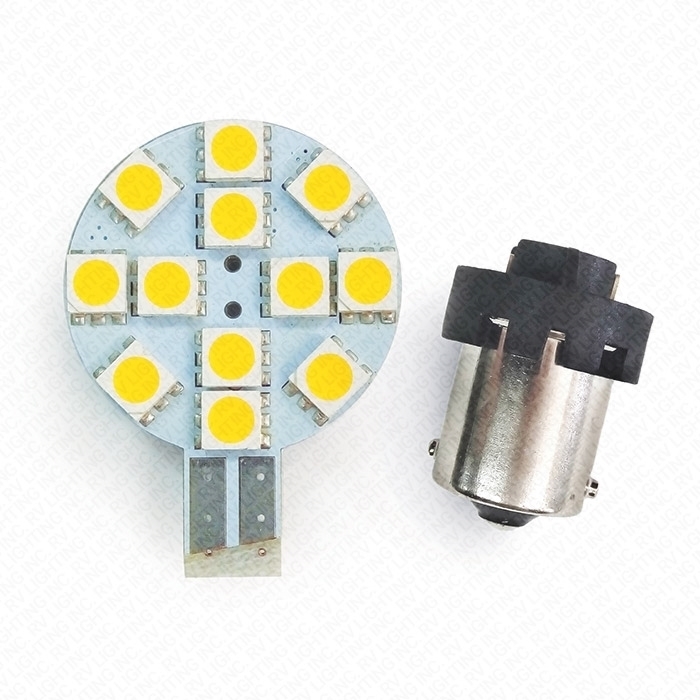 Universal LED replacement light bulb, with 36 SMD 3014 LEDs on round PCB and miniature wedge connector (T10) on the side, including an additional single contact bayonet base (BA15S) with swivelling feature. For details and specifications, see below. Universal LED replacement light bulb, with 12 SMD 5050 LEDs on round PCB and miniature wedge connector (T10) on the side, including an additional single contact bayonet base (BA15S) with swivelling feature. For details and specifications, see below. Subscribe to receive our promotionnal emails! All pictures shown are for illustrative purposes only. | Copyright © 2019 RV Lighting Inc.. All rights reserved.